BETA Puppy Large Breed With Turkey - 14kg. BETA 100% complete and balanced nutrition tailored for puppies of large breeds (>25kg expected adult weight) to support their natural defences and promote healthy growth. 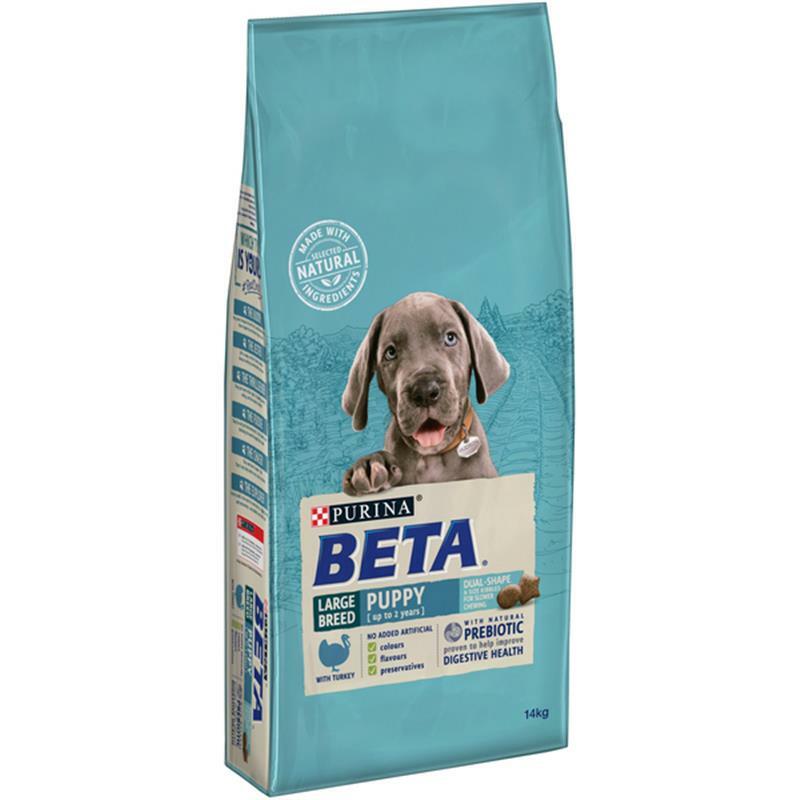 BETA Puppy large breed is specially formulated to provide DHA important for brain and vision development and essential minerals to help build strong teeth and bones, helping to keep your puppy strong and healthy while still growing. This particular formula provides an appropriate combination of protein and fat for the uniform growth of your large breed puppy. Contains dual shaped kibbles for good oral health and designed to encourage the dog to chew the food.